Enter the really, really big Loth-wolf. Spoiler warning! Really, a major one! This article discusses plot points from the episode. 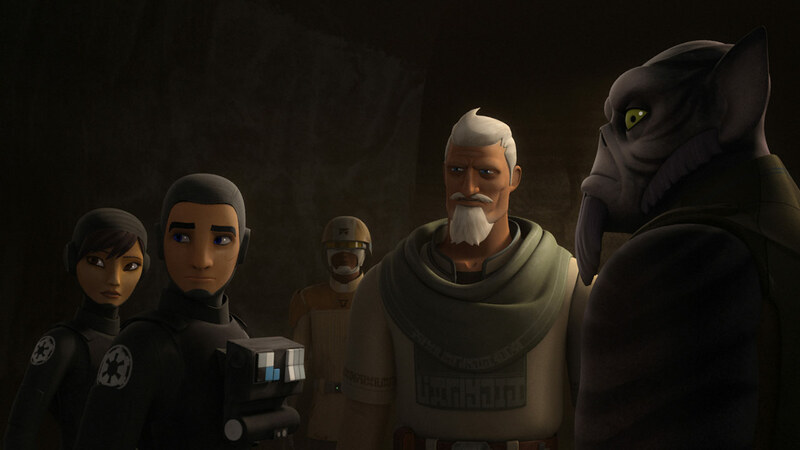 Following the events of “Jedi Night,” the Ghost crew looks to regroup. Here are my five favorite moments from the episode. No matter how much you may understand that losses happen in war, no one is ever ready and everyone reacts in their own way. Seeing each member of the Ghost crew process Kanan’s sacrifice took my breath away. 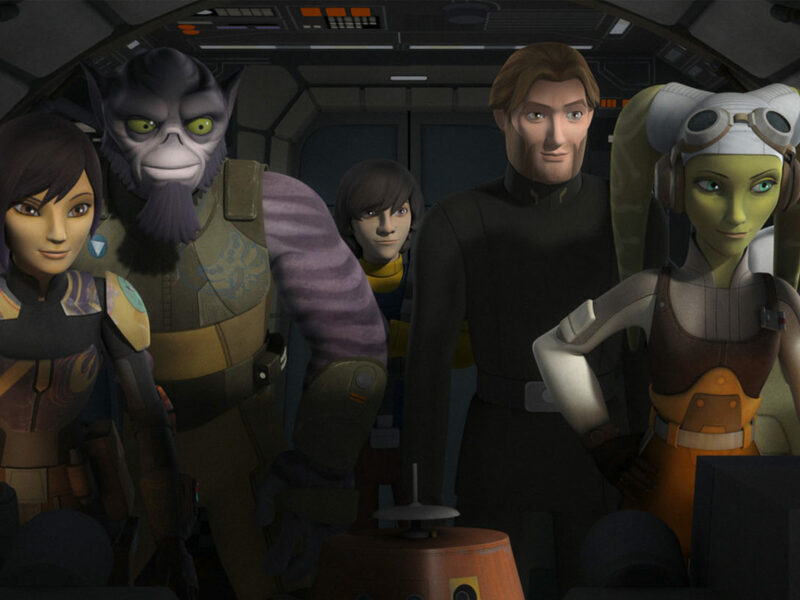 Sabine’s anger, Ezra’s raw pain, and Chopper taking Hera’s hand — all of those little moments came together to show how truly special this particular family is. 2. 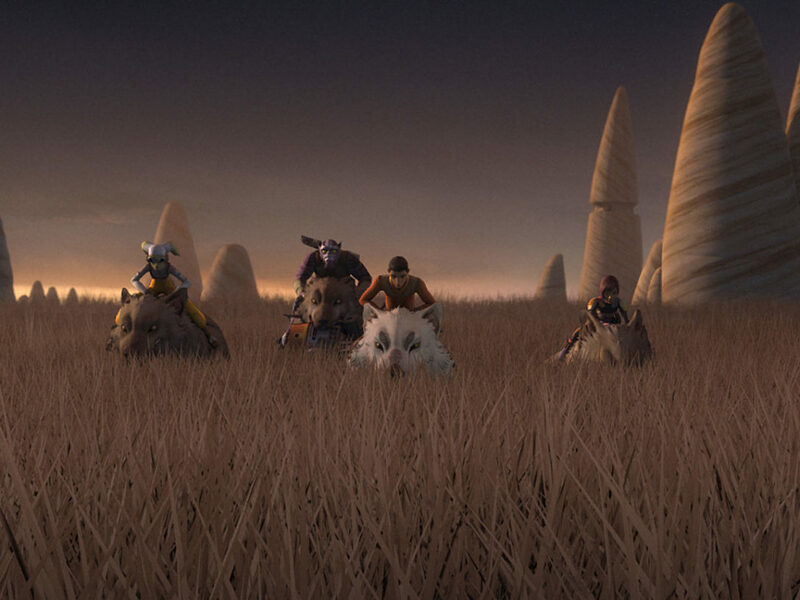 Ezra and the Loth-wolves. 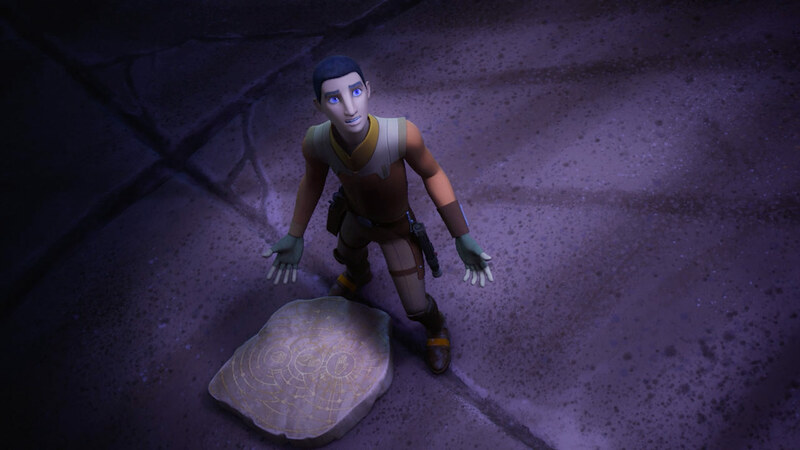 Whatever connection the Loth-wolves have to Ezra, it was Kanan who forged that link into something deeper and, with him gone, we’re reminded that the Loth-wolves aren’t something easily tamed or even understood. 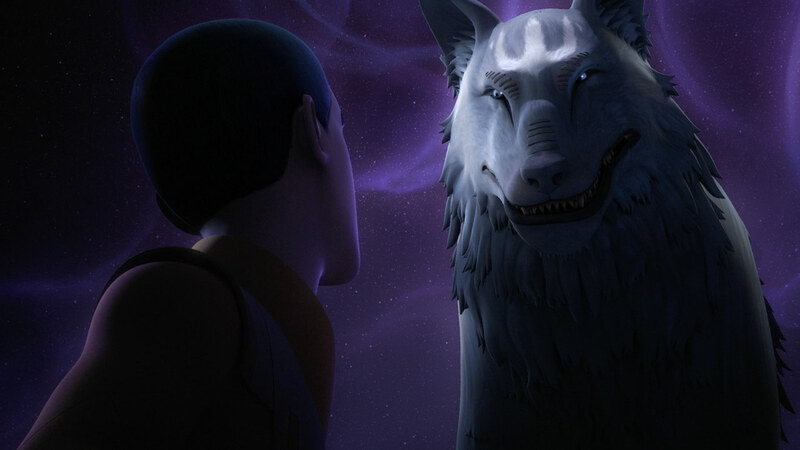 The large wolf’s markings show a relationship to Kanan, as do the eyes, but there’s more at work here. 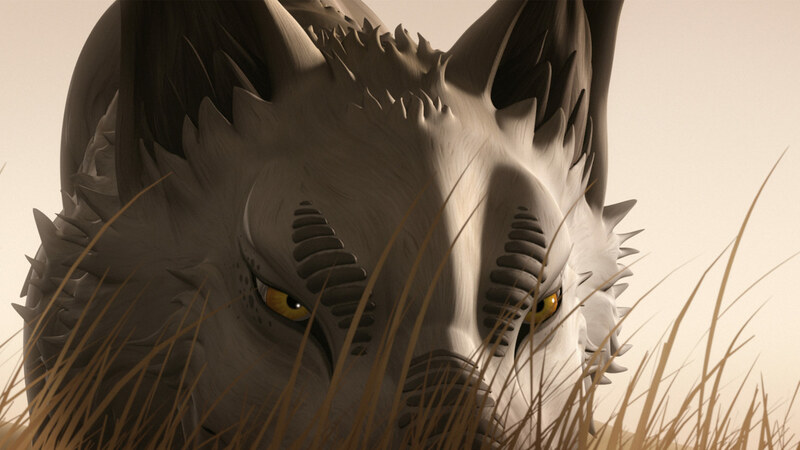 The wolf’s first word is Dume — Kanan’s birth name. What that means remains to be seen. 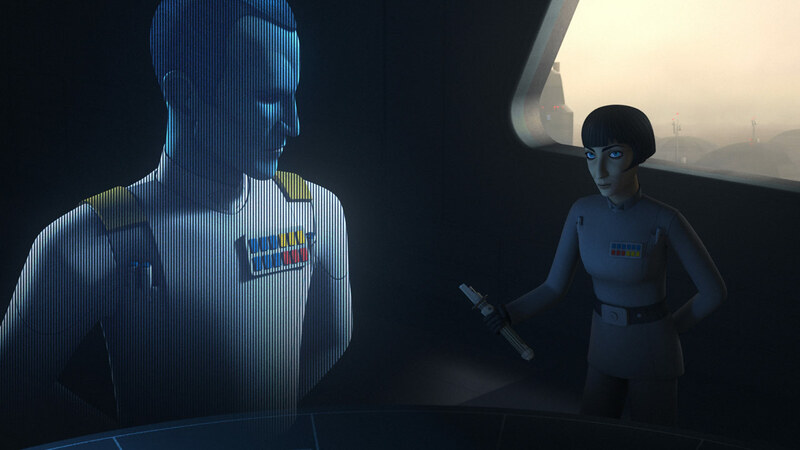 Until now, Governor Arihnda Pryce has been a loyal subordinate and trusted ally of Thrawn’s, but her recklessness has cost him dearly and there’s no covering up what she’s done. Her decision to blow up a fuel pod in an attempt to take out the rebels has sidelined — and possibly permanently halted — Thrawn’s TIE defender program. 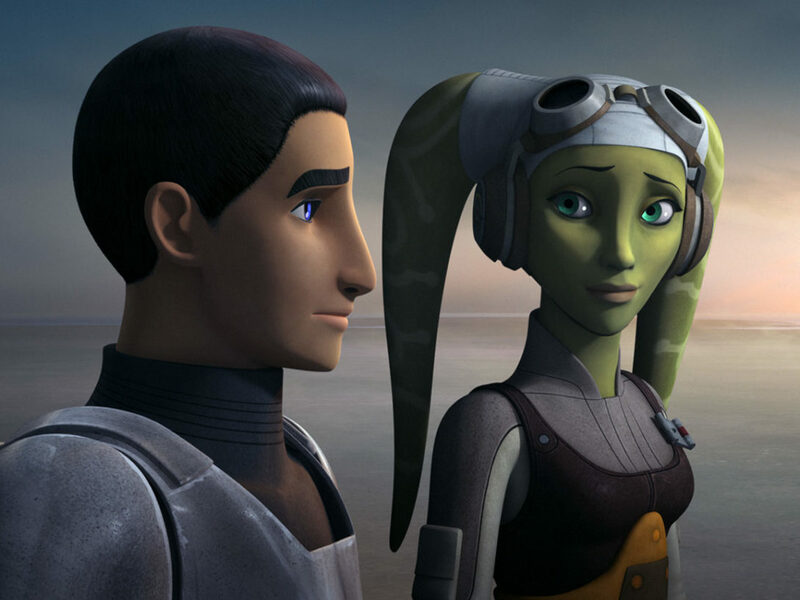 There’s no doubt she will be dealt with harshly once Thrawn returns to Lothal. 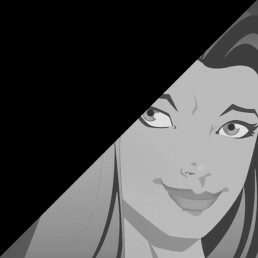 What will she do to save herself? 4. 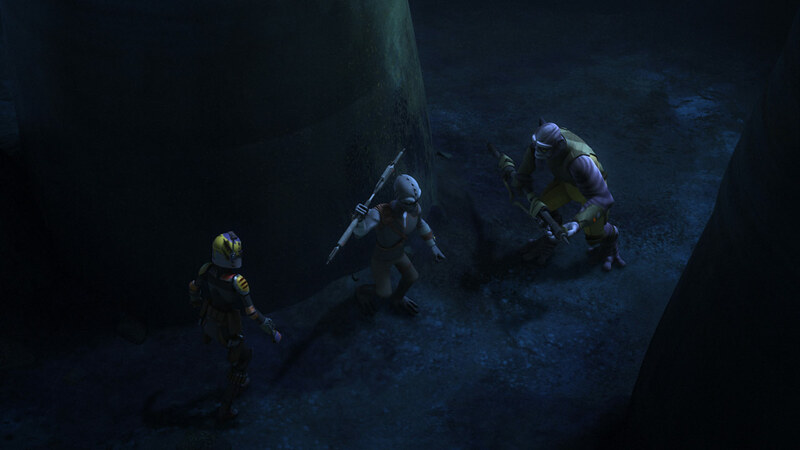 Sabine and Zeb take on Rukh. 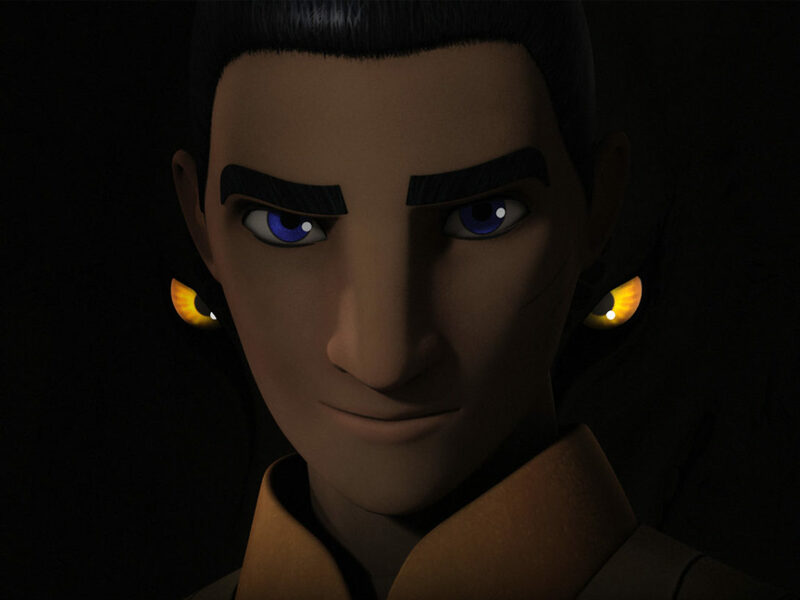 While Pryce may be prone to mistakes, Thrawn’s assassin Rukh has been a thorn in our rebels’ sides since we first met him. 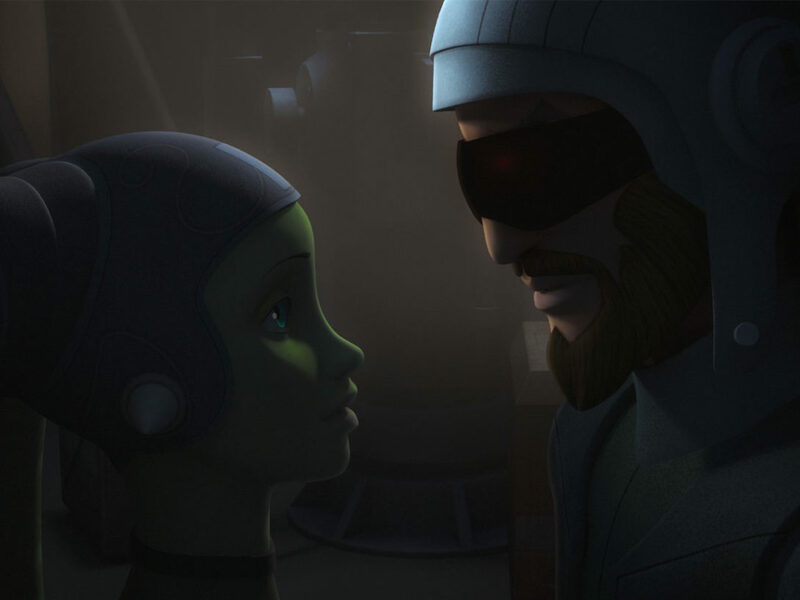 In a series of scenes that show both their fighting skills and bring some much-needed levity to the episode, Sabine and Zeb face off against Rukh and finally send him back to whence he came — out cold and sporting a Sabine Wren original paint job. That is, if Zeb set the homing beacon. 5. Kanan completed the mission. Now we need to complete the puzzle. 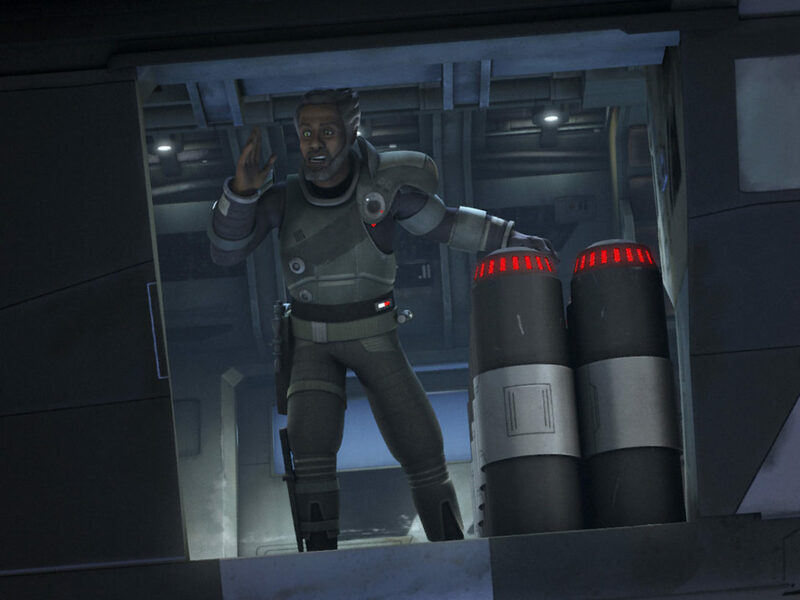 In a moment that brings the events of “Jedi Night” to a close, we learn that Kanan didn’t just save Hera, Sabine, and Ezra — he completed the larger mission on Lothal to take out the factories and halt production of the TIE defender. Which means it’s time for a new mission: go to the Jedi Temple and restore the past to redeem the future. What does it all mean? We’ll find out soon.